“想xiǎng” and”要yào” make you crazy? My students always tell me that they get confused about “想xiǎng” and”要yào”. Well, it’s difficult to tell the difference. But there is a way.I hope this article can help you. 1. In meaning: ”要yào” is more determined than “想xiǎng”. ”要yào”, meaning want, can be followed by either an object or a verbal phrase. Wǒ yào gēn tāmen yìqǐ qù zhōngguó. “想xiǎng” can only followed directly by a verbal phrase. Wǒ xiǎng gēn péngyou qù kàn diànyǐng. 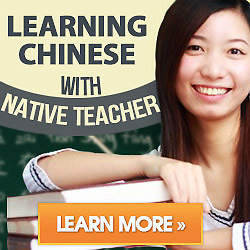 When“想xiǎng” is followed directly by an object, it means “miss”.